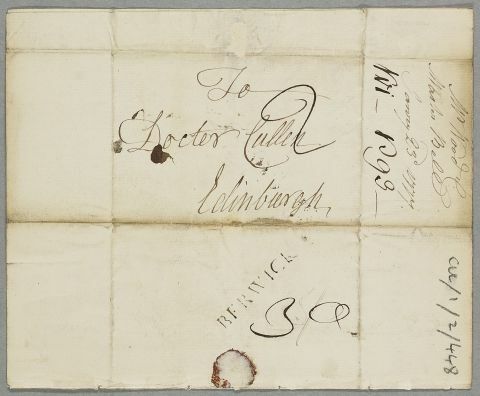 Letter from James Wood regarding the case of Master Bell, an infant of one year and nine months who cannot move his legs. 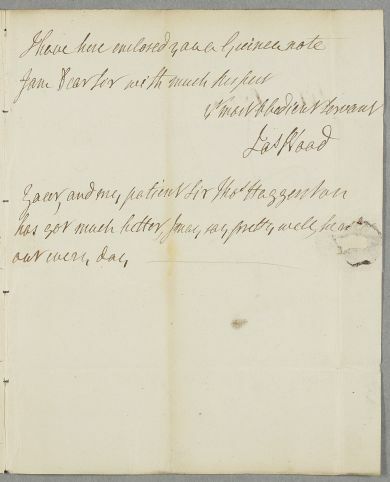 Summary Letter from James Wood regarding the case of Master Bell, an infant of one year and nine months who cannot move his legs. 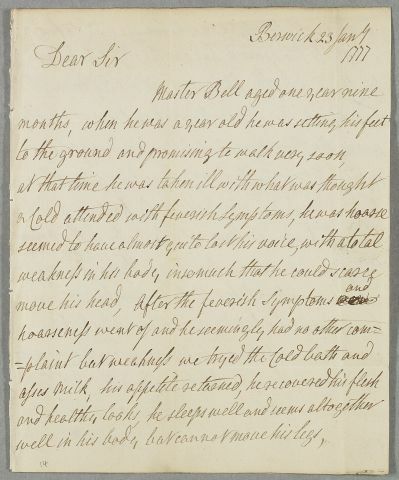 Case of Master Bell, an infant with paralysis of the legs after a fever. 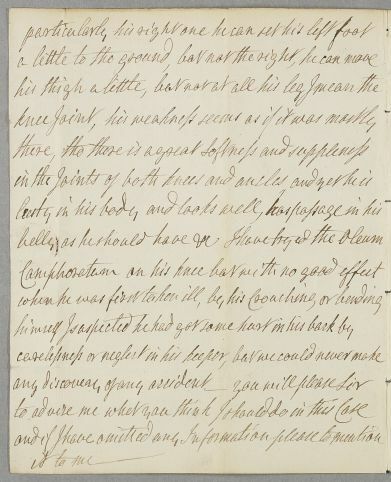 Case of Sir Thomas Haggerston who has gout and a weak stomach.